All Boxed In Quilt 44" x 68"
Joannes Designs Week26 'All Boxed In Quilt' a design I created with a more masculine look. 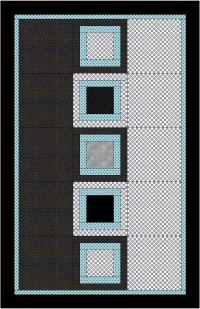 When you look around for a more masculine and modern design to make into a quilt you often don't find much of a choice. I saw a similar quilt to this one made by Carol of mamacjt on the web. I have adapted the design to suit myself and EQ7. It is a simple but stunning design that is very quick to make. There are so many variations of blocks to choose from so don't hesitate to replace the centre block with your preferred one. 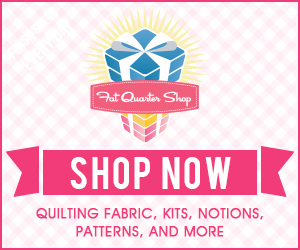 This quilt is made using 1 central block repeated 5 times, each time with a different fabric placement. I have tried to make them alternate from dark to light. Each block is finished at 12" x 12". 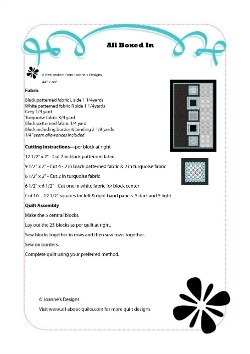 To make this quilt you will need to make a total of 15 blocks - 5 central blocks, 5 dark blocks and 5 light blocks. The two borders are 1' wide and 3" wide. 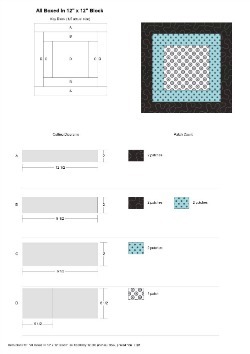 To download the pattern, rotary cutting block guide or fabric yardage guide click on the relevant image below. Choose your fabrics with care. You need to ensure you have a dark fabric, a light fabric and a single colour. Make up the central blocks first. 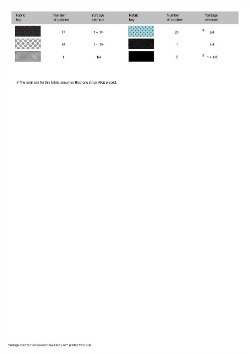 The pattern has 5 dark blocks on the left and 5 light blocks on the right. You can also create a dark and light side using a strip of fabric. Each strip would need to be 60 1/2" x 12 1/2". It would be best to complete the central strip first then measure the length to determine the exact measurement of each strip needed. Lastly add your borders on. Below are a few color variations of All Boxed In. I hope you enjoyed Joannes Designs Week26. Just 26 patterns to go!